There’s a saying that art imitates life. In the case of film, that can be very true since films are made to look like the times and people that they portray. Some films cast actors who can embody the energy of a historical figure or celebrity even if he or she doesn’t look the same, and others focus on recreating events in the most evocative and recognizable way possible. 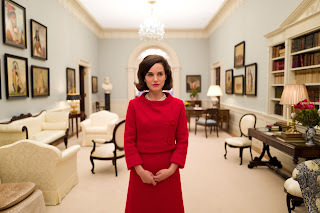 “Jackie,” which casts Natalie Portman as the polished, presentable, and popular first lady, takes the latter approach, recreating a memorable time with extraordinary attention to detail and especially to looking the part. Portman plays the world-famous Jackie Kennedy, a presidential wife defined by her poise and her beauty. Jackie’s most formative moments are framed by an interview with a journalist (Billy Crudup) a few short weeks after the assassination of her husband. Footage of Jackie filming a tour of the White House, which she decorated, and the immediate aftermath of JFK’s assassination offer an insightful look into who Jackie was and how she wanted to be perceived, especially following the untimely death of her partner in popularity at the height of his presidency. This film’s title is purposeful in its singular use of Jackie’s first name, featuring Jackie as a woman on her own rather than chronicling her courtship with JFK or the second marriage for which an “O” is commonly added to her name. Like “Lincoln,” this film chooses not to explore Jackie’s life as a whole but instead to latch on to a crucial, transformative time for her. She puts on an act for the cameras and reveals her true self in her darkest and deepest moments, shedding light on the person she was as related specifically to her final days as first lady. It’s an intriguing portrait but does leave something to be desired regarding all that came after in her later years. Portman is a skilled actress who made her directorial debut this year with the Hebrew-language “A Tale of Love and Darkness.” She won an Oscar for “Black Swan” and here presents a complete mimicry of Jackie’s voice and mannerisms, so carefully calculated and staged to evoke memories of the real Jackie. 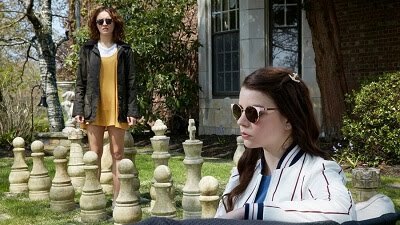 She is a magnetic centerpiece for this colorful and contemplative film, one which is ominously and distractingly scored as it presents Jackie’s glamorous life fated for tragedy.